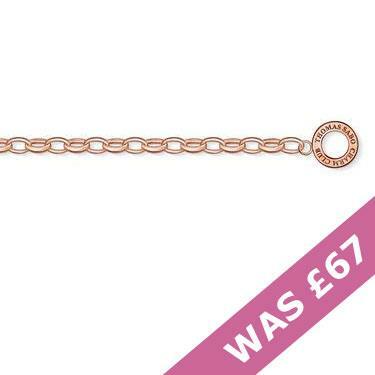 This small Oval Belcher Bracelet from the Thomas Sabo Charm Club range is Rose Gold plated and has a length of 16cm. This bracelet has a lobster clasp fastening and any Thomas Sabo Charm Club charm will fit on this bracelet. This Sabo bracelet comes beautifully packaged in a Thomas Sabo presentation box so it will make the perfect gift for a Thomas Sabo collector.